(ZIZ News) – Earlier this week, St Kitts competed in “World Karate Federation’s NY International open” in Queens College for the second year in a row. There were 650 competitors and 21 different national federations present. 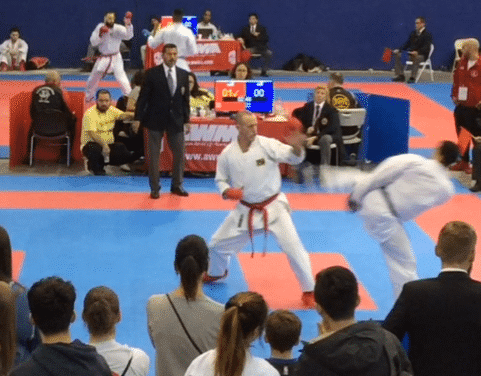 General Secretary of the St Kitts and Nevis Karate Association, Ryan Borcyk competed and lost unfortunately in the Bronze Medal match of sub-84 kilo men’s elite fighting but won the gold in last month’s “Samurai international open” for the second year in a row. Borcyk is coached by Mr. Clement Johnson. The next event is the St Kitts and Nevis Karate Association’s home tournament dubbed the “St Kitts and Nevis Open”, which is scheduled for Saturday April 13 2019.